IOLS & BALOO attendees must bring their own lunch for the first day. Food is provided for the remainder of the course. Cost for either course is $25 or $30 if paid less than two weeks before the course. IOLS for the Scouts BSA Outdoor Program Can be taken together with BALOO Training or by itself , see below for BALOO course information. Recommended for Troop and Crew Committee Members, Charter Org. Reps., Webelos Leaders, Cubmasters/ Assistant Cubmasters and Pack Committee Members interested in learning basic outdoor camping skills for the Scouts BSA Program. This course will satisfy the requirements for all Scoutmasters/ Assistant Scoutmasters to be certified as “Trained” in Outdoor Leader Skills. This course is designed as an introductory course. It is recommended for those wishing to take Wood Badge training. Participants are required to stay overnight as a part of this course. 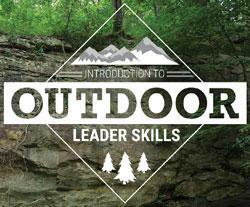 IOLS is an introductory course and does not teach survival skills. It is designed for Leaders to take Troops on basic camping trips. High Adventure and Back Country trips require additional training. Note: Packs and Webelos Den overnighters require a leader that has completed a different course called Basic Adult Leader Outdoor Orientation (BALOO). Please see below for more information! Registration closes seven days before each course. Complete online prerequisites at my.scouting prior to arrival at the in-person portion of the course. Satisfactory completion of this course if "required" for consideration as "Trained". This course is designed to certify Webelos Leaders to lead overnighters and to allow leaders to take Cub Packs on Family Campouts. Participants are required to stay overnight as a part of this course.